We are renowned as a high quality large format digital printing company with a reputation for innovation. Our ability to print on a huge variety of flexible materials including canvas, vinyl and polyester films, roller blind fabric, paper etc… has won us international awards. Canvas is a material most closely associated with artists and whilst we start literally with a blank canvas we can faithfully reproduce artwork with stunning results. The finished print can be left for you to frame or we more usually mount onto a timber stretcher with the canvas wrapping around the edge, ready to frame. 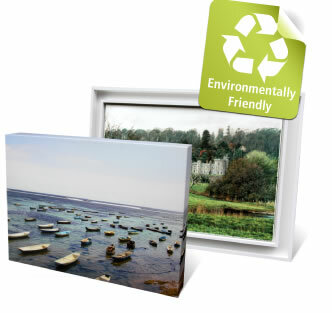 Canvas prints can also be used as a more natural, environmentally friendly alternative to plastic displays.